As you have no doubt noticed, the relationship with each brand I represent is much more meaningful than appears at first glance. Montegrappa notably is a company that holds very special meaning as it has been part of my journey from the very beginning. 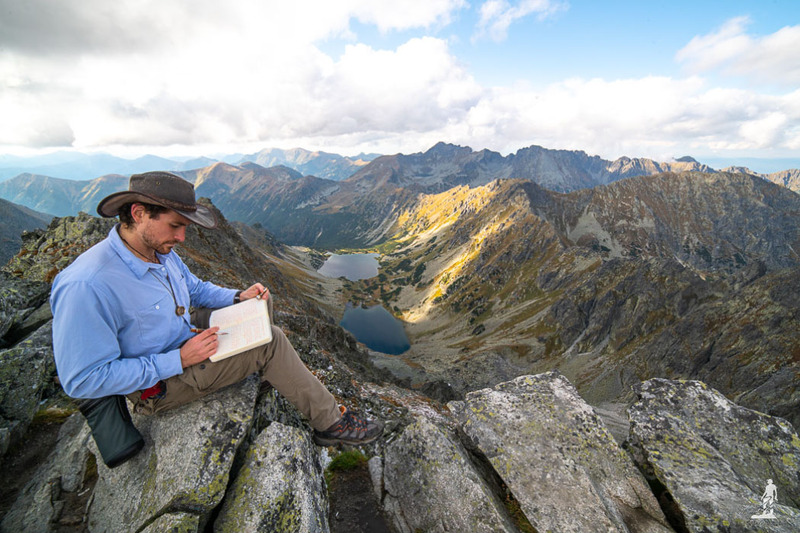 Inspired by classical explorers, I desired to document in writing the journey I set out on so many years ago. 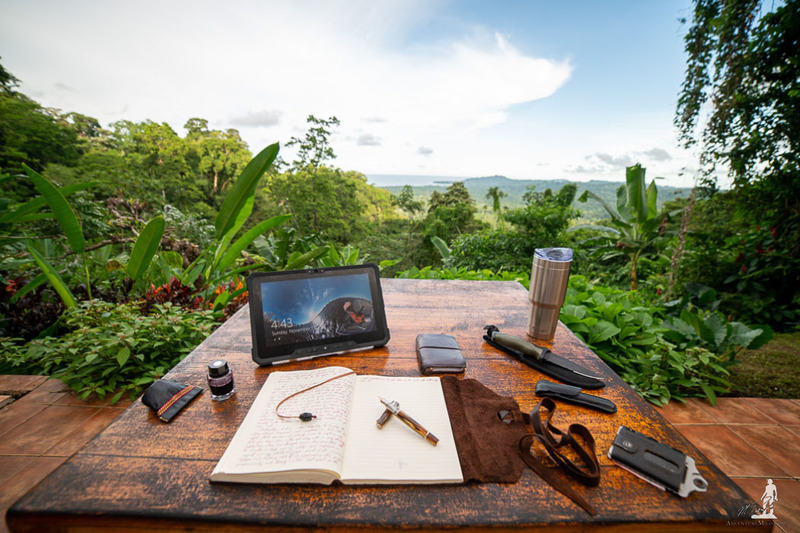 Ubiquitous among these men and women was a penchant for writing about their expeditions using the most evolved tool for writing ever created; the fountain pen. 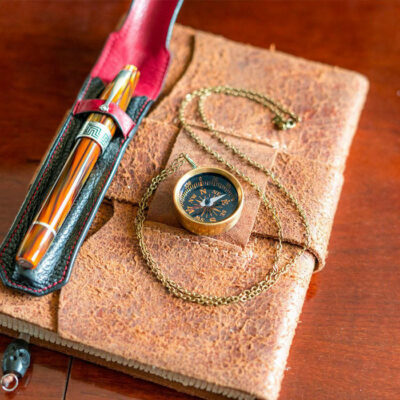 Montegrappa reflects the spirit of these explorers in its creations, each fountain pen a homage to an icon of history produced using only the finest materials by the world’s best craftsmen. 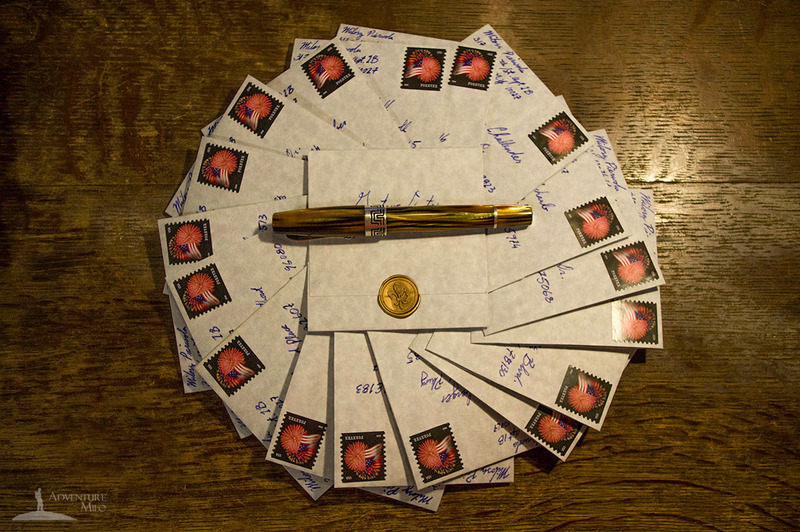 The allure of writing with a fountain pen consumed me. 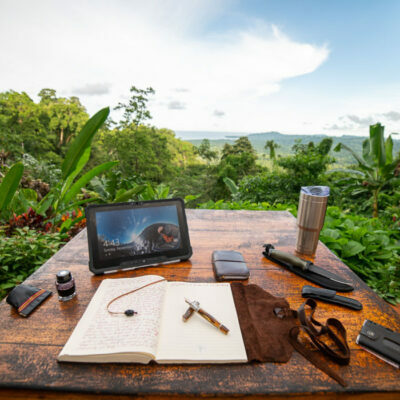 I had never owned one before starting my journal, but I fantasized about using this classic tool that accompanied so many of the most influential explorers to the furthest reaches of the world. 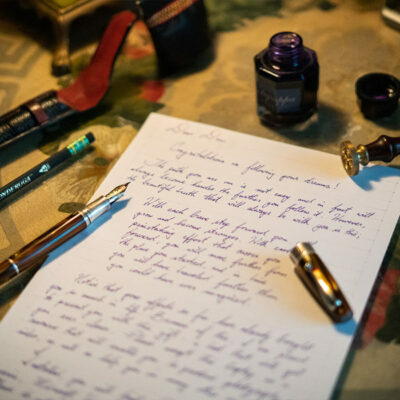 Just like the compass, fountain pens are instruments that evolved over the course of human history along with writing itself. 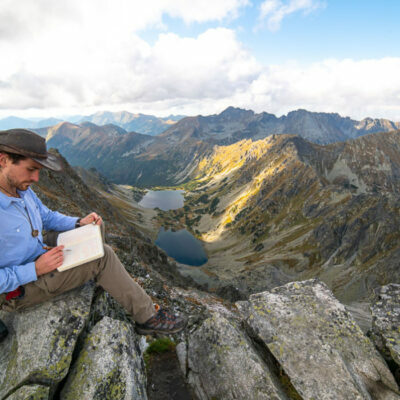 Inked writings date back over 4,000 years, and practically all expeditions and stories of expeditions before the 20th century were inked with an instrument that was a fountain pen or one of its predecessors. The idea of continuing this incredible tradition, to transcribe my own voice into my writings, was inescapable. I could not imagine a better homage than to document my life-long expedition using the same instrument. 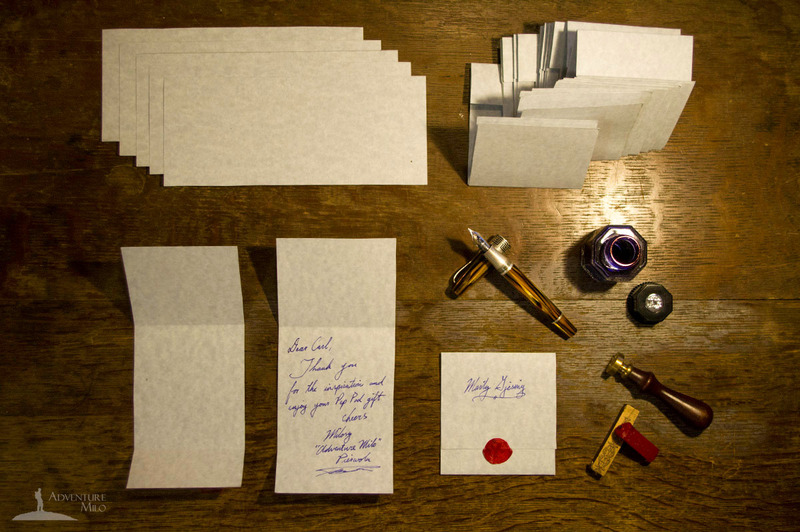 In 2014 I wrote to Montegrappa to express my intentions. I had just returned from the Yukon Territory where I earned the title of dog handler by organizing dog sledding expeditions in -40° temperatures under the Northern Lights. 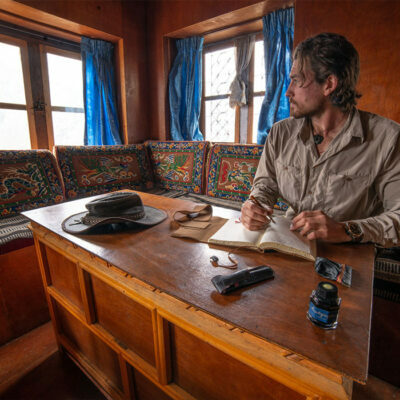 By then, I had already completed Wilderness EMT training, traveled to Brazil where I lived with 3-time World Champion Surfer Jacqueline Silva and spent several nights on a deserted island, completed Polar Expedition Training with world record holders Eric Larsen and Ryan Waters, and was about to produce my first ever photography exhibition in partnership with Porsche Design on Madison Avenue in New York. Shortly before the exhibition, I received a reply that Giuseppe Aquila himself expressed admiration of my ambitions. This single act of recognition would become a moment that will remain in my memory forever. At the exhibition, I would receive a package from Italy, it was my Montegrappa Extra 1930 Turtle Brown Fountain Pen. I sometimes still go back to the entry I made in my journal to see the first strokes with it, the beginnings of what would become miles of writing. The weight of this pen in my hand felt meaningful and it represented the gravity of its influence on me moving forward. The Extra 1930 would become my voice and accompany me to every single destination I traveled since. It would be the incentive I sought to attract me to the journals I carried over the years to make my entries even when beyond fatigue. 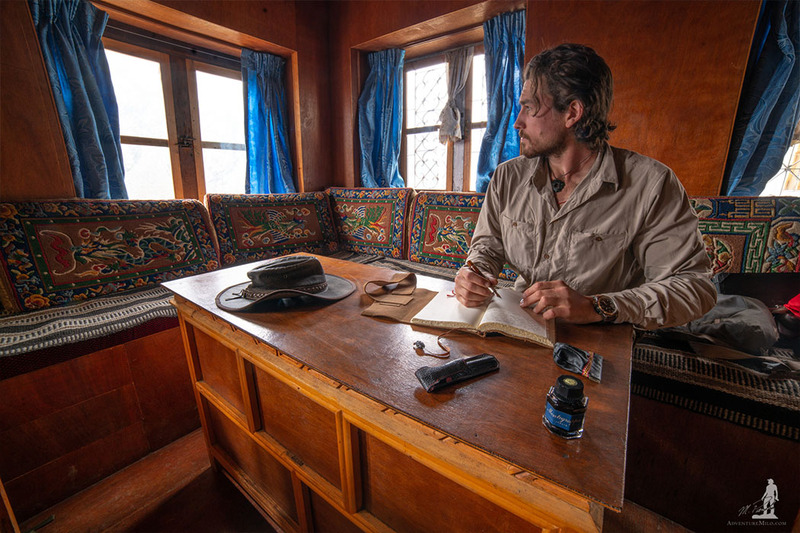 By the time I am writing this, it had traveled with me on two major expeditions, the 2015 Nahanni Expedition and Mt. Everest Base Camp in 2017, as well as over 30 countries. It has become a part of me, and continues to be a token of inspiration in my life. 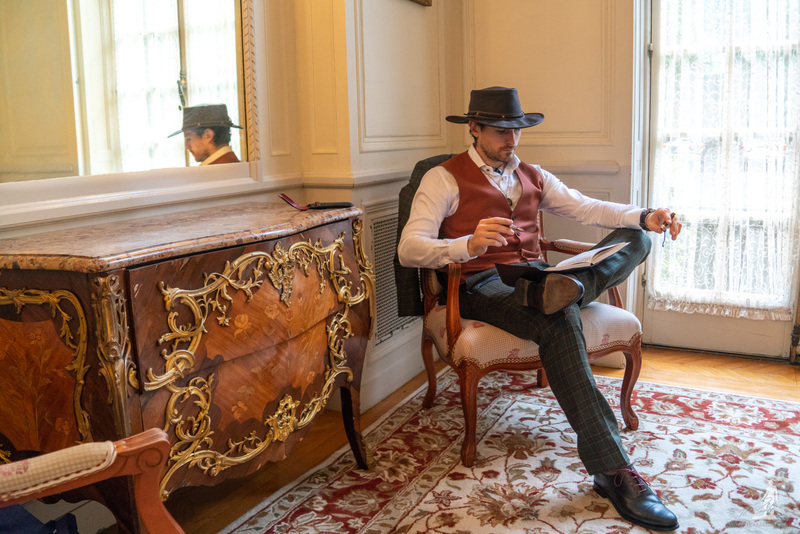 Beyond inspiration, writing has become so much more to me; a way to intimately connect with friends and family, an artistic expression capable of carrying a message, and a meditative therapy that has guided me past some of the most challenging obstacles in my life. When I sit down to write, I find myself alone with my thoughts and discover a way to organize and reflect upon them. The act of writing cannot be rushed, each word must be deliberately written with intention. Simply recounting a series of events that created conflict within you produces a path of discovery, and reveals what is most important to you about those events. In writing, we have a conversation with ourselves, and we find the ability release the story onto the page and no longer have to hold it within. In reference to a relevant issue of electronic distraction in today’s society, writing is a therapeutic break from our digital lives. In our journals, there is no tabs or notifications, no messaging applications, and no battery life. So long as you have ink and paper, you can remain focused on the task of expressing yourself. The pace of writing has slowed my impulse to say what I think instantly, and equipped me with the ability to consider carefully what ideas conjure in my mind. This has resulted in profound effects on my outlook in life, ability to approach complex problems, and communication skills. 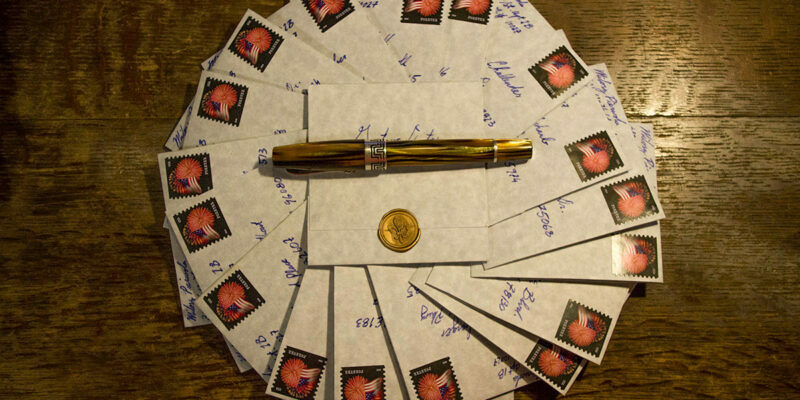 In addition, where electronic messages disappear nearly instantly from our lives, letters are cherished as treasures. Electronic text is generic and can easily be misunderstood, whereas a hand-written letter is intimate and carries much more than the message. My personality is in my handwriting, as well as my emotions if I am stressed or rushed. 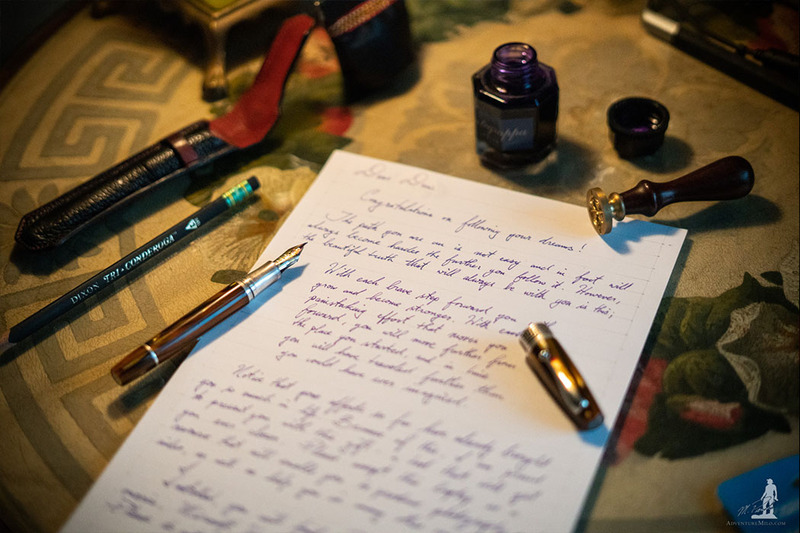 A letter can absorb the environment you are in, whether it is a spilled coffee stain, the smell of your cologne, or a quick sketch in the middle of the text. 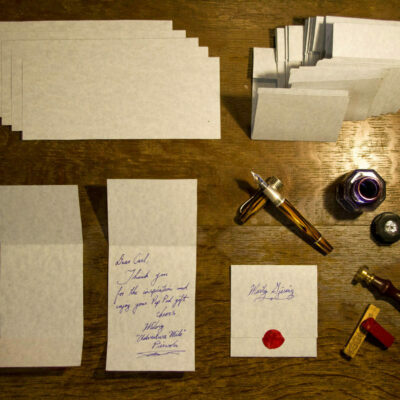 A letter is also a deliberate and careful act that takes time and requires effort. I feel the love between my parents and grandparents, who still have letters they sent to each other from their youth. The time they spent writing those letters is time they spent together. 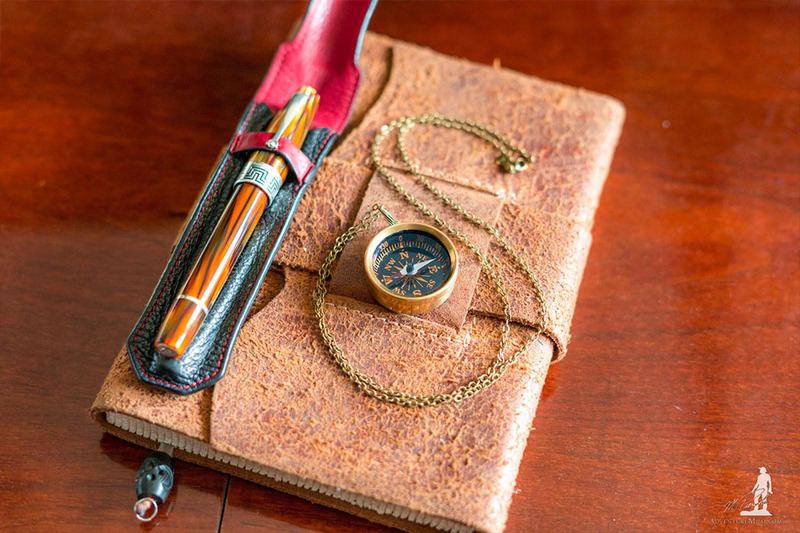 Montegrappa is a company that espouses all of these qualities. Their pens are all deliberately designed by individuals who pour their soul into each creation. Only the best materials are used and each piece is carefully inspected to function with absolute perfection. But, beyond that, Montegrappa is a company that supports its community. 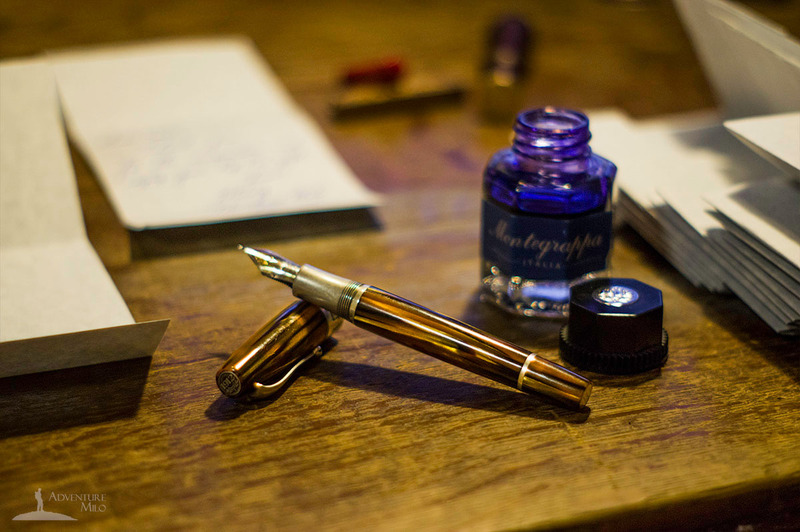 Visiting the town of Bassano del Grappa, you cannot avoid Montegrappa’s positive influence. The community and all the employees are treated as family, and all visitors are welcome. It is this Italian care and attention to detail in producing their beautiful creations that colors everything they are, and I feel privileged to represent this company to the world. Montegrappa Monte Grappa promotional video, 2018. 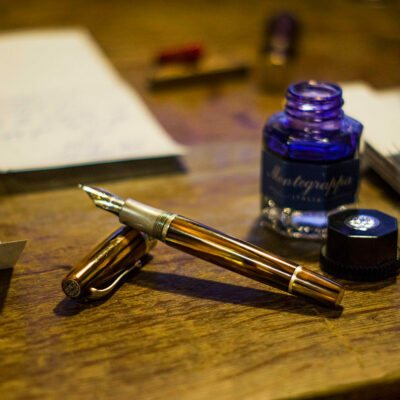 Montegrappa Heartwood promotional video, 2018. Montegrappa Kahlil Gibran promotional video, 2016.